The Aztec xuicoatl. Cedar wood, turquoise and shell, 1400s to early 1500s. The use of turquoise defines it as a celestial serpent, linking the waters of the earth and sky. 30 years ago, facing another long winter and fed up with sitting behind a desk, I wrote to some old friends managing a cattle station in northern Australia’s outback and asked if I could go and work with their stock team for a while. ‘We’ve never had a woman do that,’ they replied, ‘but why not?’ It was an excellent adventure. I learned how to muster cattle, break horses, and survive eating beef three times a day (with little in the way of fruit or vegetables). 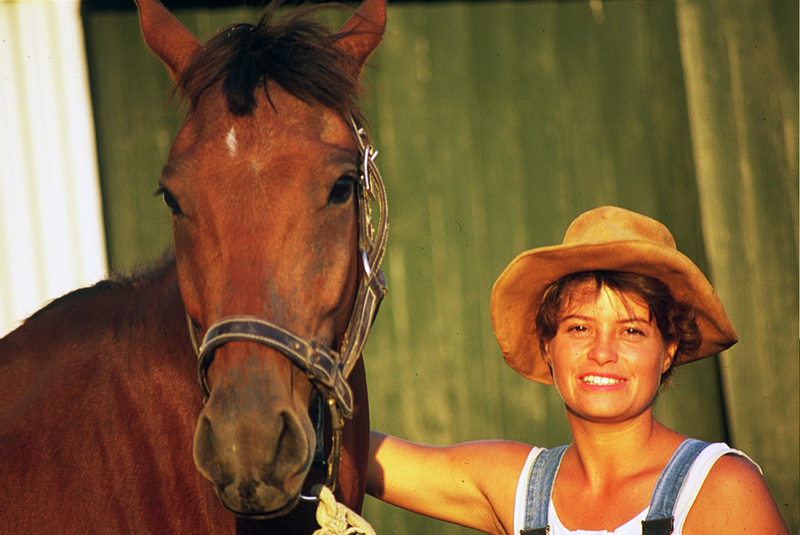 Veronica Strang with her favourite horse. Photo: Clare Blackman. The stock team contained a number of Kunjen elders from the nearby Aboriginal community of Kowanyama. Along with making daily jokes about whether I needed a box in order to get up on my horse, and broadening my diet to include fruitbat and wallaby, they were kind enough (as we herded unruly cattle along the Mitchell River) to teach me about their lifeways: their social practices, their religious beliefs and rituals, and the sentient ancestral beings inhabiting a sacred landscape. In doing so, they introduced me to one of the world’s most fascinating water beings, the Rainbow Serpent – a central figure in Aboriginal Australian beliefs about how totemic ancestors created the world and continue to generate life from within the land. I was hooked immediately, of course, and, on returning to England, studied Anthropology at the Pitt Rivers Museum in Oxford, and began research which, in the decades since, has increasingly focused on understanding people’s relationships with water. 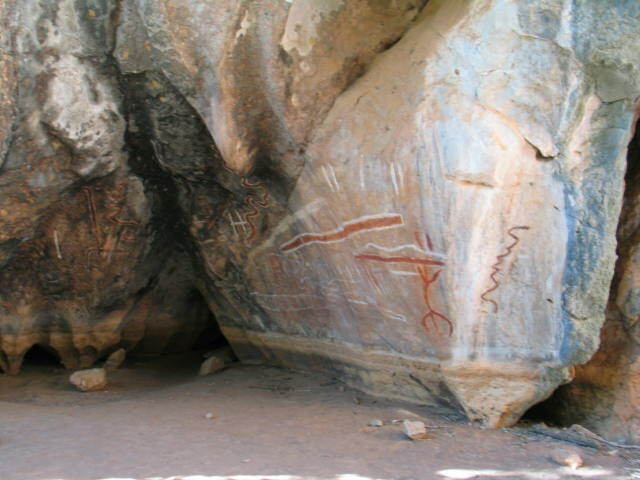 Serpent beings regularly appear in Australian rock art, such as the ochre serpents in this cave in Chilligoe, upriver from Kowanyama. The Rainbow Serpent also features in traditional bark paintings, and in many contemporary paintings by Aboriginal artists. Supported by a Royal Anthropological Institute Fellowship, and Australian Research Council funding, I continued to work with Aboriginal groups in Queensland and other indigenous communities. In New Zealand, assisting the Maori Council in a legal claim to regain indigenous rights to water introduced me to another set of water serpent beings. For Maori, the rivers and seas are protected by powerful guardian spirits: taniwhas and marakihaus. And a recent landmark legal decision established that, in accord with their worldview, rivers are Tupuna Awa – ‘living ancestors’ – and must be respected accordingly. 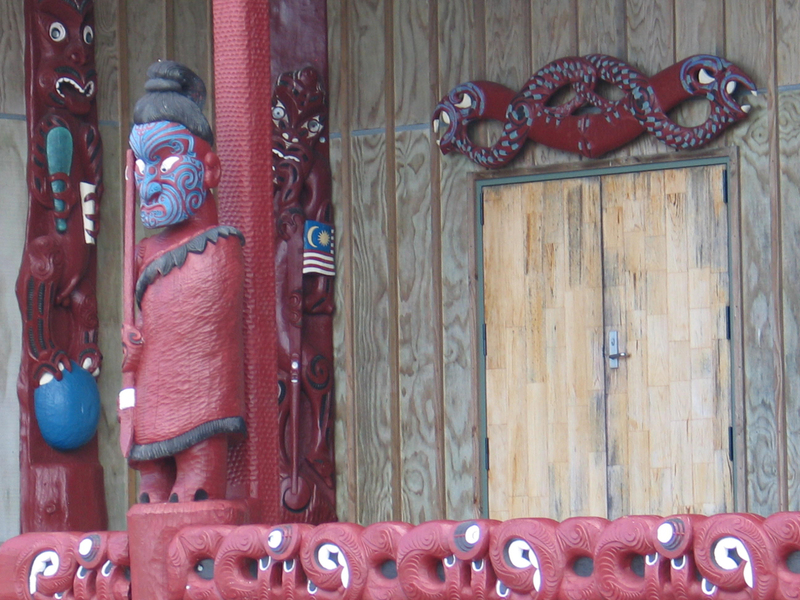 A wooden and painted carving of a marakihau above the door at the Moana marae (meeting house) near the harbour in Auckland. Photo: Veronica Strang. Further research on water and cultural diversity for UNESCO, and then sheer curiosity, led me to many more historical and contemporary water beings – Babylonian leviathans, ancient Greek sea serpents, Celtic and Roman river goddesses, Norse dragons, rainbow snake deities in Africa, feathered serpents in Mexico, giant twin anacondas in Amazonia, the horned serpents of the American Pueblos, Indian Nagas. And, in China, Japan, Vietnam – indeed, right across Asia – a veritable plethora of dragons rising from the waves, flowing from wells and springs, and drifting through mountain mists and clouds. Dragon emerging from the clouds. 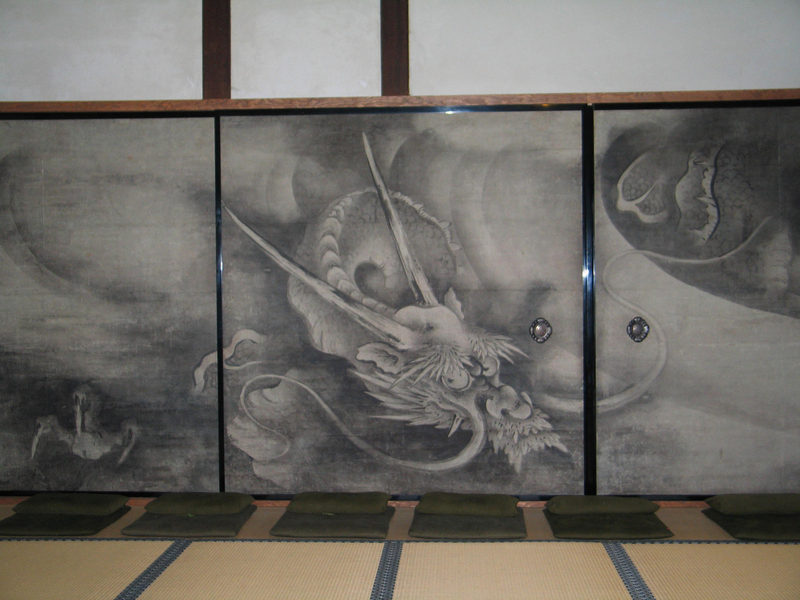 Painted screen in 12th-century Kinnin-Ji temple, Kyoto, Japan. Photo: Veronica Strang. The British Museum has some of the world’s most inspirational objects depicting water beings. 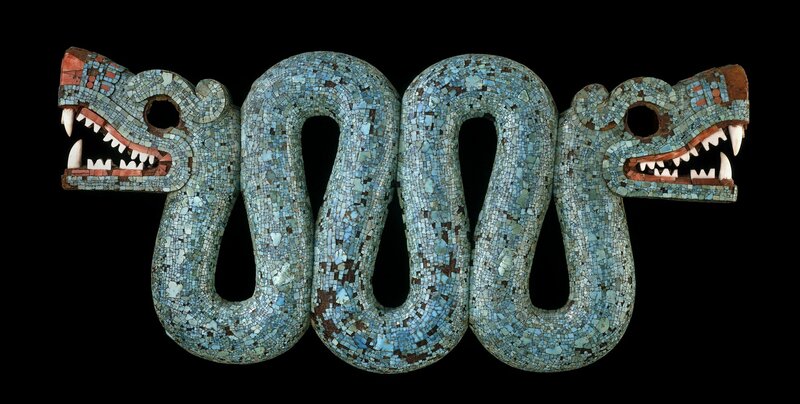 It is hard to choose a favourite, but many people will recognise the gorgeous turquoise xiucoatl (twin serpent), an Aztec water being depicted in a pectoral ornament dating from between 1400 and the early 1500s. It is on display in Room 27. The Aztec xuicoatl on display in Room 27. Cedar wood, turquoise and shell, 1400s to early 1500s. The use of turquoise defines it as a celestial serpent, linking the waters of the earth and sky. Water serpent beings and dragons, it turns out, can be found everywhere in human history, and even now – though much subsumed by religious changes in some areas – they continue to wind their way through many cultural belief systems. But why? Why were water beings so ubiquitous in early human societies? And why do they remain important today? Why are they alike in key respects, while also being culturally and geographically unique? And why are they worshipped in some places and demonised in others? These are the questions I have been asking, while following serpentine trails to understand the many and complex ways in which people engage with water. Water beings provide insights into human cognition and engagement with the material world. They show how water flows imaginatively through religious beliefs. And they have a lot to say about the kinds of relationships that different communities have with their environments. I am currently working on a book about water beings around the world, and most recently they wriggled their way into a paper written for the UN, to help them to encourage heads of state to give more priority to cultural and spiritual values in relation to water. You can book your free ticket to see Veronica Strang explore some of the questions – and answers – about a range of water beings, in the lecture Water beings: historical and contemporary religious beliefs in the powers of water, on Thursday 23 November at 13.30. The lecture relates to the exhibition Living with gods: peoples, places and worlds beyond, which is on from 2 November 2017 to 8 April 2018. The accompanying BBC Radio 4 series is being broadcast weekdays from 23 October 2017.